If you have been around my blog for awhile, or followed me on social media, you know that finding ways to interact and engage with my students that meet their learning styles was always the priority. While that began with all of my work with Interactive Notebooks (which is still a passion), I quickly learned that I could not only do that and I have implement something else. 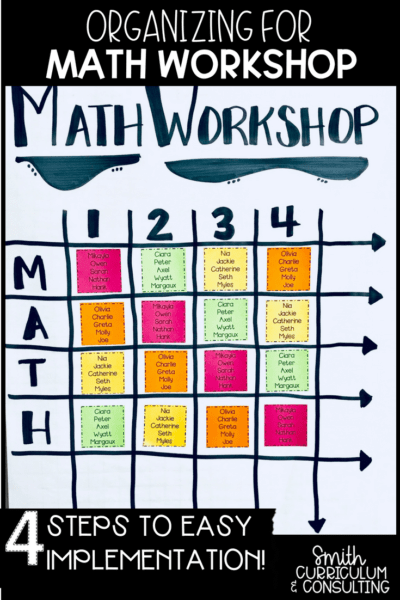 Coming for an Elementary background, yes, I taught 2nd and 5th or a total of 5 years prior to middle school, I knew of and had used math workshop in my classroom before on a regular basis. 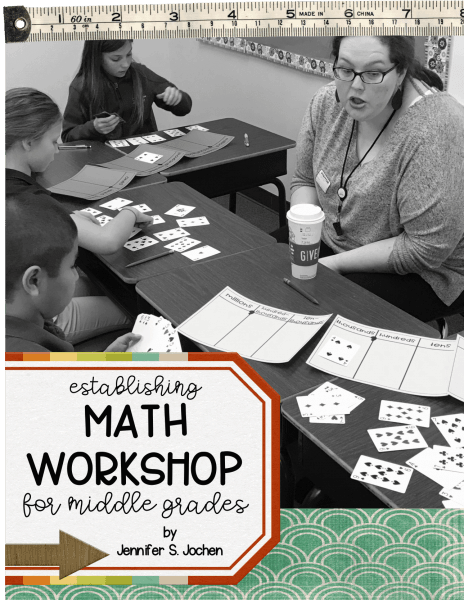 It was something my students hadn’t had in middle school so I thought why not, we can have a middle school math workshop. Over the next several blog posts I will share with you the break down of how I got this to work in my class. 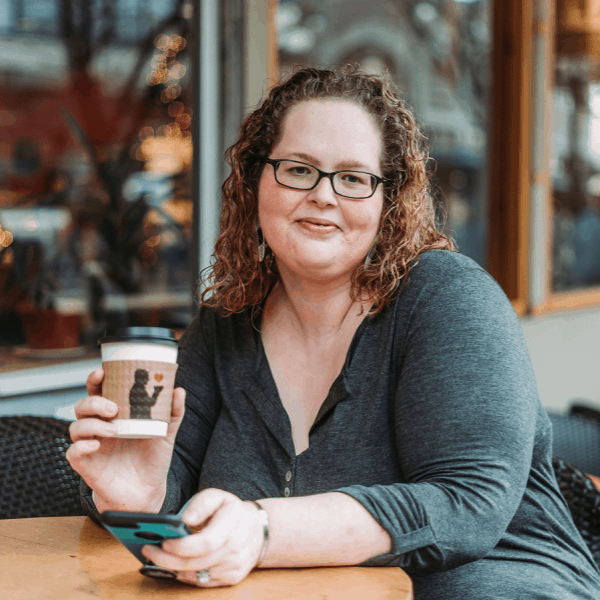 If you want to get the info straight to your inbox, sign up for my VIP list and you will have it all brought straight to you. Deciding how you want to structure your Math Workshop block is probably the MOST IMPORTANT component. You have to determine this based on your teaching style and your student’s learning style. 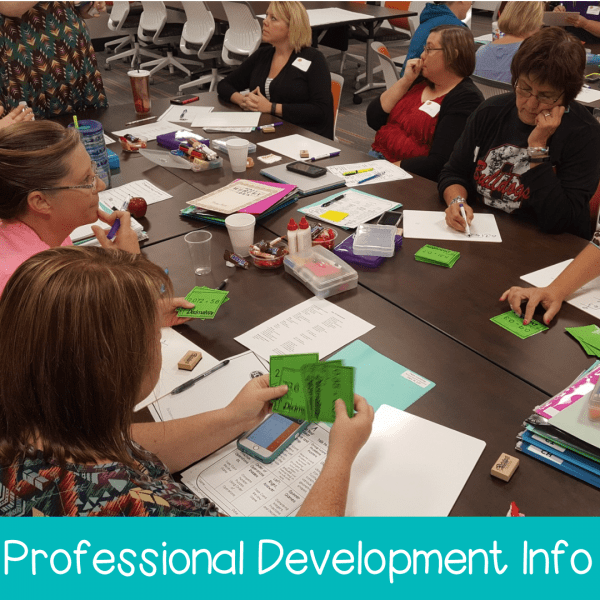 There are many different options available out there with the most popular of them being different acronyms such as MATH, TIME, STACK or providing a choice board. 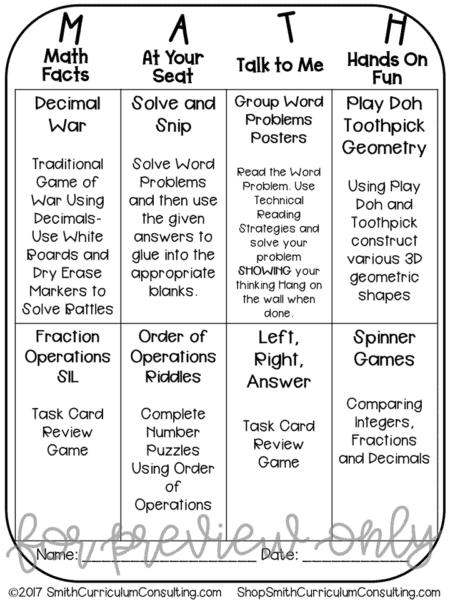 In the free Math Workshop sheets I gave editable versions of the sheets that I have used to with my students. The different acronyms can stand for whatever YOU choose. For me, MATH stood for Math Facts, At Your Seat, Talk to Me and Hands On Fun. rough the project at hand and then Hands On Fun allowed me to incorporate manipulative based tasks where students went from abstract ideas to more conceptual. Other ideas during this time would be Math Games, All By Myself, Teacher Time, Technology Time, Independent Practice, and many more. I’ve created a Pinterest Board where I share a lot of visual items about Middle School Math Workshop and would love you to follow. I can’t stress enough how important it is to have some kind of visual for you and your students to refer to. This will not only help reduce the number of times a student asks, “Where do I go? Who am I with? What’s next?” Notice, I didn’t say it would eliminate them but it will greatly reduce them when you train students to refer to the Math Workshop Board. 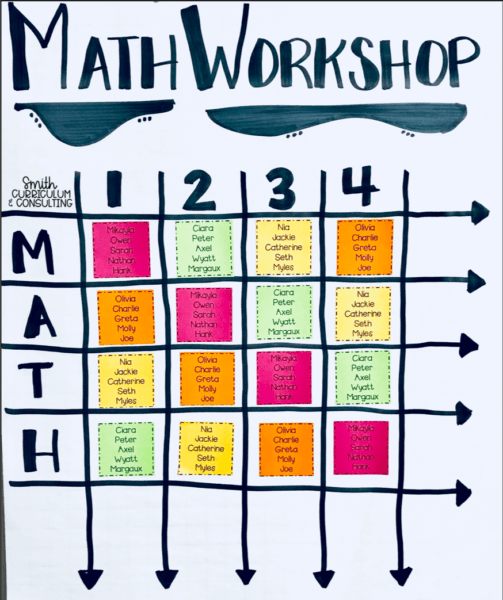 When planning out your Math Workshop stations each week, don’t just plan what the students MUST DO in each station but also plan something extra just in case there is a time where the students finish ahead of time. You will be working with small groups so you want them to use their time effectively and stay on task. Something simple as adding in a Solve and Snip, a Spin to Win, etc. will make sure that your students are on task and working at all times. No matter what you are doing when you are using Math Workshop in your classroom, be consistent. Consistency is key in everything we do in our classroom and we must keep that with Math Workshop. There will be times where you want to give up, there will be times where there are too many things going on at school (assemblies, early release, testing, etc.) and that’s okay, forgive yourself for the week and pick it back up the next week. 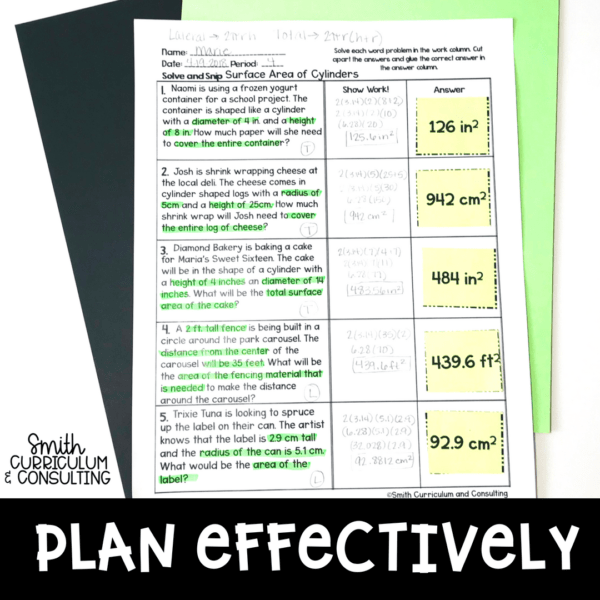 Planning ahead with your calendar and knowing these possible interruptions will help you in the long haul but also communicating that with your students. They are resilient and will understand.